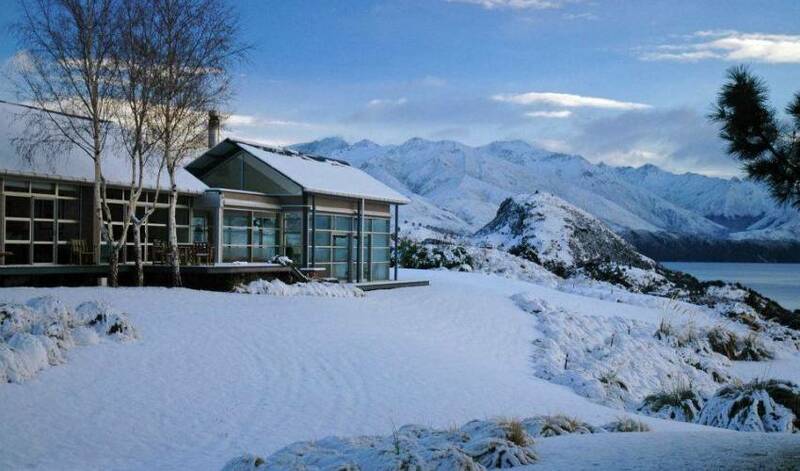 NZ Villa 625 is located on 60 acres of private farmland on the shore of Lake Wanaka. This inspiring building captures the full beauty and grandeur of its lake-side setting and alpine views, whilst providing the ultimate in sophisticated accommodation for guests. 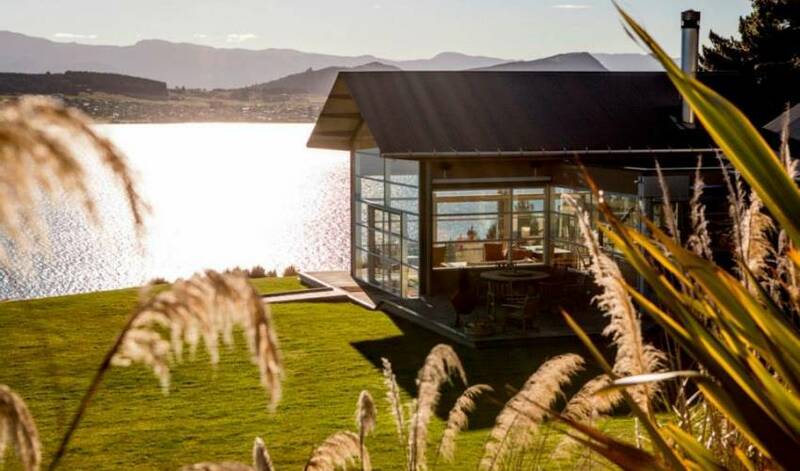 Designed to capture the setting's unique feeling of space and light, Whare the lodge appears to float above the water allowing guests to enjoy the magnificent location in an intimate atmosphere. 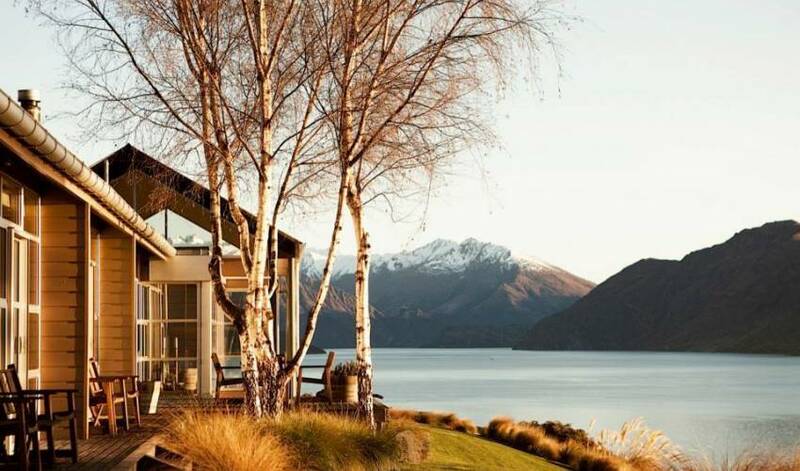 Whare the lodge can be booked exclusively for those who wish to ensure their privacy, or book a room for two and enjoy meeting other guests from around the globe. Christchurch and Auckland International airports have multiple connecting flights on a daily basis through to Queenstown. There is also one direct daily flight from Christchurch to Wanaka. 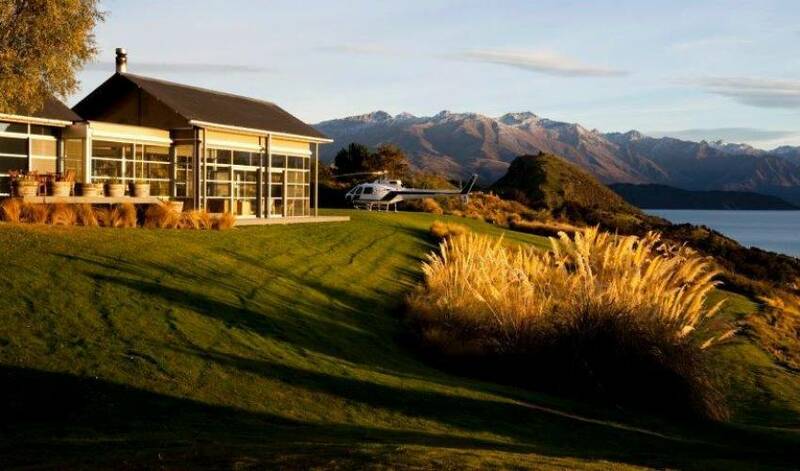 Queenstown to Wanaka is only a 15 minute air charter flight either by light aircraft to Wanaka Airport , or helicopter right onto the front lawn. Whare we can assist with charter aircraft or helicopter booking arrangements. If you prefer flexibility in your schedule, we recommend that you organise a rental car, with rental car companies located in Queenstown and Wanaka, alternatively we can arrange a chartered transport service for you. 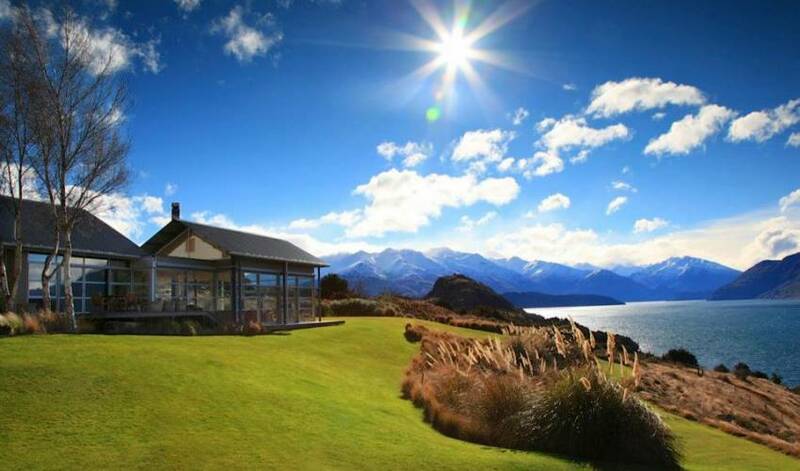 Christchurch to Wanaka is approximately 5 hours drive. . Queenstown to Wanaka is approximately a 1 hour drive. Also available along with the Lodge is the remote Chalet accessable by helicopter,another opion if you enjoy extream skiing, snow boarding and alpine hikes. 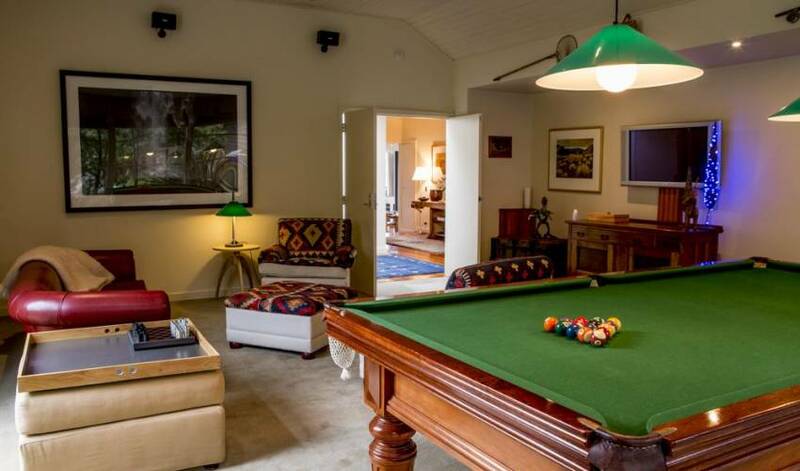 High in the Southern Alps, on the edge of the Mt Aspiring National Park, lies a unique alpine escape - The Chalet - luxury where you would least expect to find it. Make your way to the Chalet by helicopter. Enjoy a guided alpine walk followed by a gourmet picnic surrounded by the vista of high rocky mountains, glaciers, residual snow fields and alpine meadows. After a glorious day settle back to enjoy a glass of champagne in the evening alpen glow followed by a delicious gourmet dinner. Relax after dinner whilst being regaled with tales of adventure from your guide. Sleep soundly under the Southern stars secure in the remoteness from the cares of every day life, ready for the adventures the next day brings. Located at 5,600ft (1700m) in the Buchanan mountain range beside the Mount Aspiring National Park , the Chalet site enjoys direct sun all day. 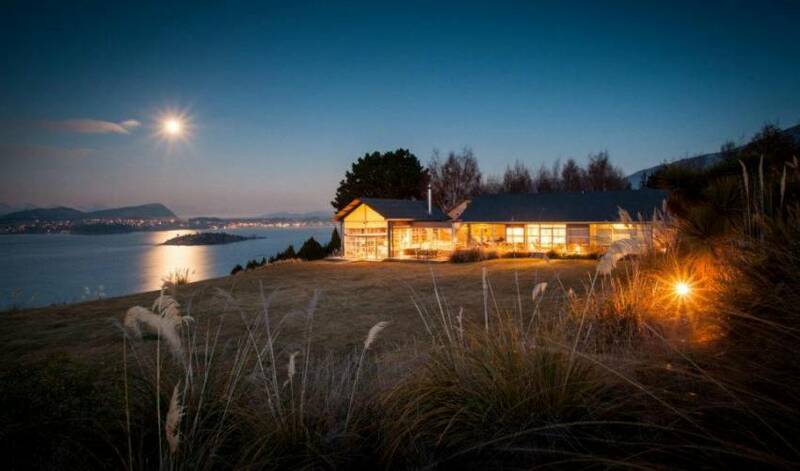 The chalet has stunning views from Mount Cook on the north east horizon, to Mount Aspiring looming 10,000ft (3000m) in the west. Between Mount Aspiring and the Chalet, the remote forest filled East Matukituki River valley lies 4,000ft (1200m) below. In summer, the vista is one of high rocky mountains, glaciers, residual snowfields and alpine meadows. In winter, the Chalet lies under a deep blanket of snow.